Telegram has been adopted as the de-facto messaging app by cryptocurrency enthusiasts. Several crypto investment Telegram groups exist which rangy from professional groups to very funny and not so serious groups where memes and hilarious Pepe The Frog stickers scroll up the chat screen as fast as Bitcoin prices change. One interesting aspect of Telegram, which sets it apart from other similar apps, is its open API. The official Telegram app is simply an implementation of the API. Anyone can create their own applications and run them on the Telegram network. One such application is to create artificial intelligence bots that perform several tasks and uses Telegram to notify users. As cryptocurrencies reached more and more users, high frequency crypto trading platforms also began to emerge. Telegram is an excellent messaging platform. Not only is it stable even under extreme loads, its open API allows for unrestricted use as a notifications system. Instead of firing up emails or expensive SMS notifications, Telegram allows any network participant to receive instant data anywhere with a Internet connection. This makes it ideal for the broadcast of trading signals. A trading signal is a message which contains a suggestion for an immediate trade to be performed at a cryptocurrency exchange. One example could be BUY(BTC,3800) which, in a hypothetical signals language, would mean buy Bitcoin now at U$ 3800 per BTC. Closed and exclusive Telegram signal groups exist where members must pay a periodic fee in order to participate. These groups are usually targeted at professional traders and do not allow memes, jokes or off-topic discussions. One of the group members is actually a robot which sometimes prints out trading signals. Telegram crypto signals provided by trusted users may be very profitable. The members of Telegram groups may also be automated software instead of real humans. A bot could be programmed to listen to a Telegram crypto signals group and then act upon the messages of only one trusted member – and ignore all others. This kind of system would typically be deployed at a closed professional trading group and not at public chats. Trusting public chats for trading signals is sure to bring heavy losses caused by trolls and fake information posters. Some exchanges take a zero tolerance stance against coordinated pump and dump. If a group of users is detected to be heavily buying into a cryptocurrency, with a coordinated subsequent dump, exchanges may carpet ban the entire participating group. This is done to protect individual investors from collectively coordinated market manipulation. The pump and dump may actually be accidentally triggered by large Telegram groups suggesting an immediate trading action. Some Telegram crypto investment groups have tens of thousands of members. One single broadcast signal could trigger a massive accidental bull run or even a flash crash. This can be even more dramatic when many users have leveraged positions which must be liquidated all at once, causing major artificial market fluctuations. For this reason, many Telegram crypto signals groups prefer to stay small. Usually a high price is paid by members in order to filter out smaller investors. 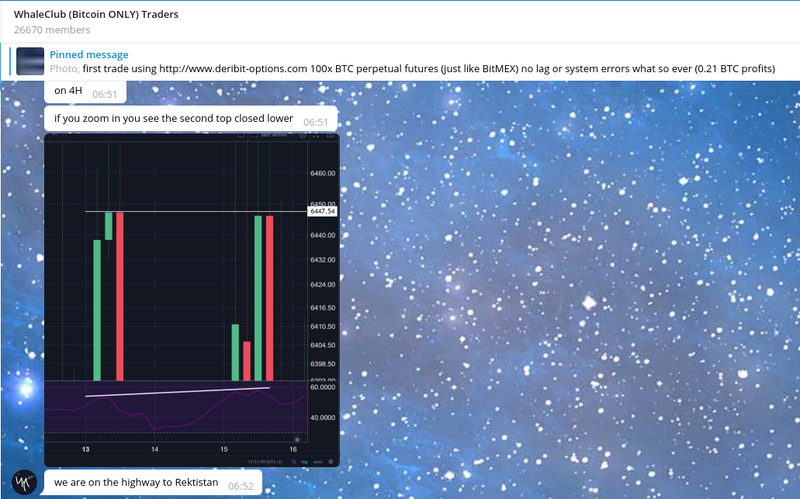 We hope this short foray into Telegram crypto signals has given you a better idea about how this incredible messaging platform can be leveraged for profitable crypto trading. Telegram allows for fully automated solutions to be built on top of it, which makes it a very powerful tool to send and receive trading signals from trusted users. Some care must be taken to only consider signals sent by trusted users. Large groups must also watch against triggering accidental pumps and dumps. Having been spontaneously adopted by the cryptocurrency community, Telegram has become a indispensable tool for cryptocurrency investors looking for real time information and trading signals. Why don’t miners use regular CPUs? Shoud I participate in an ICO? What should I look out for? What programming languages should I learn to work with cryptocurrencies? What is actually a cryptocurrency fork? Previous: ELI5: What is a full node? Next: How does Brave browser know which sites are verified Brave publishers?